rose petal jelly | eating with S.O.L.E. 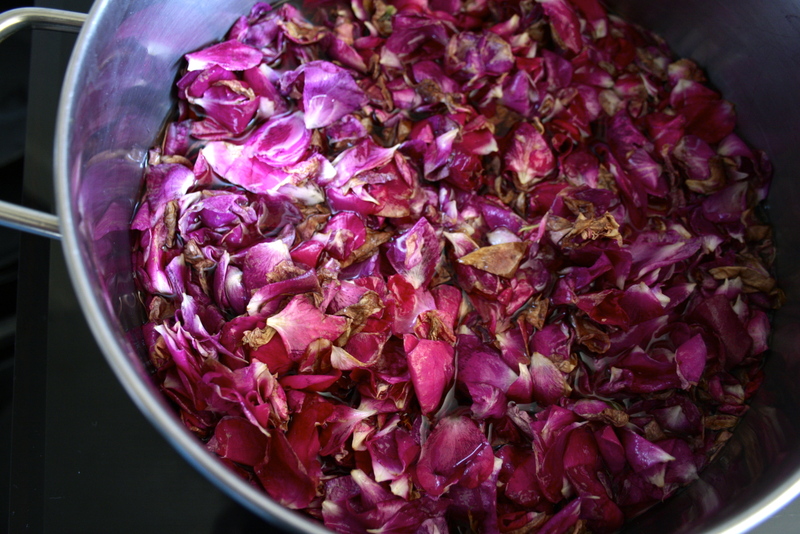 Start by pouring petals and rose water into a heavy bottomed pot and SLOWLY bringing to a gentle simmer for about 10 minutes. Remove from pot and strain rose water from petals, measure the liquid amount (I had 8 cups at this point) then return water to pot and add in 1/2 cup pure organic lemon juice (which will brighten the rose water immediately). I have been happily using pomonas low sugar pectin for some time and I certainly recommend it, however it can be hard to find, if you are using a traditional pectin you’ll have to check the sugar to pectin ration on the package. In a bowl combine 2 cups of organic cane sugar with 8 tsp of pomonas pectin powder whisk together. Add 8 tsp of pomonas calcium water into the rose water and set to simmer, slowly and gently stir in the pectin sugar solution and allow the sugar to dissolve and the pectin to incorporate fully while simmering away. 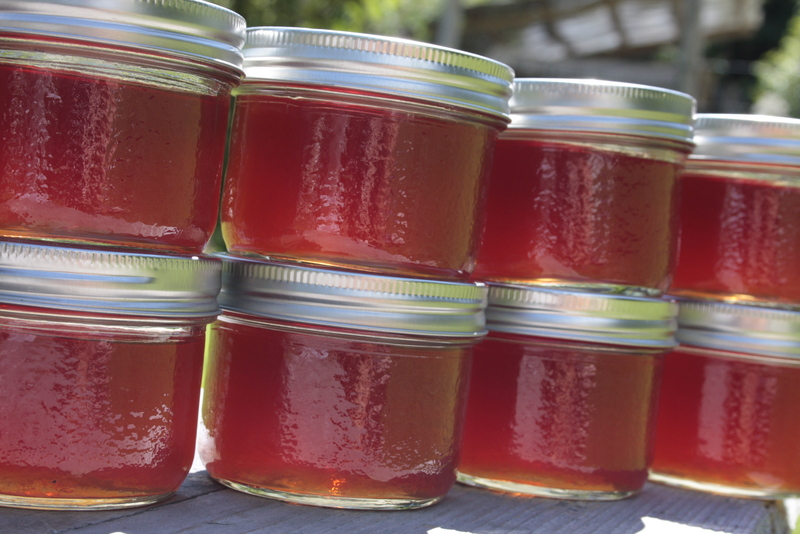 Once the jelly is set to your liking and you have tested it using your favorite method, your ready to process. Portion into sterilized jars and hot water process for 10 minutes in a rolling boil. ta-da lovely tea time preserves! I feel like there will be buttermilk scones on the menu in the near future….